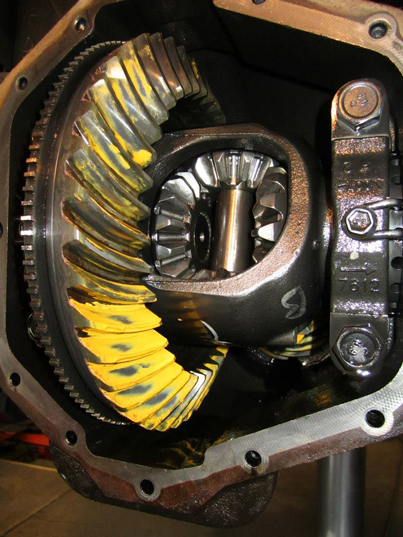 At Dabney’s Alignment & Brake we provide Automotive Services for Differential Repair in Vancouver, WA and Clark County. The differential is closely related to your alignment and is a very important aspect of your driving experience. Differential consists of a system that makes up for the fact that your wheels are not able to spin at the same speed while you are turning. Obviously, the outside wheel is going to need to spin much faster than the inside wheel on turns. This can cause your tires to skid. If this is the case, it can be a major problem for the tires and your vehicle’s traction. The differential lets two wheels on the same axle turn independently of each other, while also providing enough power to both for proper performance. This ensures your tires are not destroyed every time you turn, letting the mechanism keep driving the faster-spinning wheel to avoid skidding and tire damage. If your differential is off or not working properly, it means that your wheels are not able to match up properly, and it can result in increased wear on your tires and other issues as well. If you are hearing strange noises when you turn, or if you are experiencing vibrations while driving, your differential may be having some problems. Bring it into Dabney’s today and we can determine what is going on and get everything put together again in a timely and efficient manner. Other signs of differential problems include grinding or clanging noises coming from your car after it travels only a few feet. Steering becomes a chore, as the grinding may increase and vibrations may get more serious. Grinding can even occur if your car is simply traveling straight and narrow down the road. This could indicate any number of malfunctioning or broken parts in your differential, and your vehicle needs to be serviced as soon as possible. Don’t let the damage get worse. Bring your vehicle in today and have your differential repair taken care of before something more serious happens. Automobile differential is one of our main focuses, which means you can rest assured that we will know what we are doing when inspecting and repairing your vehicle. Our staff has years of experience working with a variety of differential systems, meaning we can guarantee quality, honest work every time you come in. Differential problems can be detrimental to your overall driving experience. They can also lead to further complications, which could end up costing you a lot more in the long run. Avoid these problems by bringing your car into Dabney’s Alignment and Brake today. We can get your car inspected, repaired, and back on the road in no time.